The Friends of Melton School organise and run numerous fundraising events throughout the school year. These include the ever-popular children’s discos, the Summer barbecue, quiz nights and the Autumn Fayre. With the considerable sums raised, we have been able to purchase some fantastic equipment for Melton Primary School. Most recently we have added to the multi-cultural resources with a superb collection of puppets and musical instruments. We intend to provide the school with a kiln in the near future. 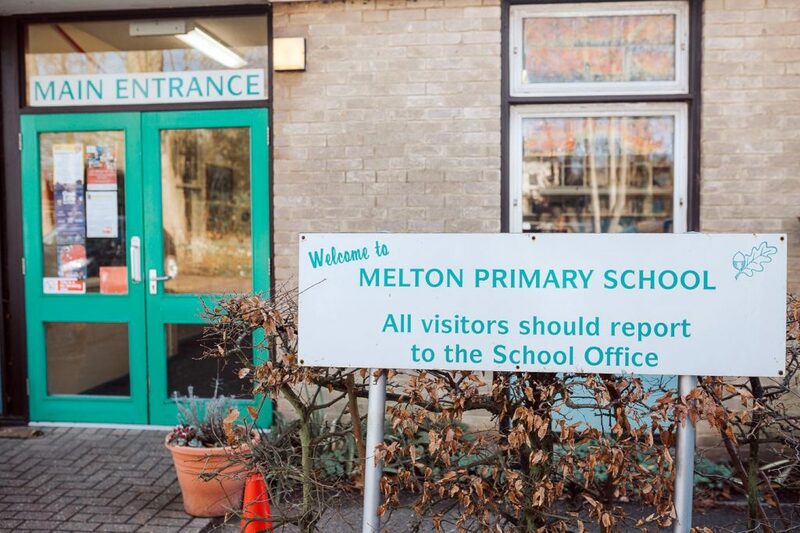 We welcome parents, carers, staff – indeed anyone connected to Melton Primary School to join our friendly and successful team. Your input will greatly benefit the school. 1.1: Gina welcomed everyone for coming this evening. 1.2: Gina welcomed Anna to FOMS and briefly outlined what we do and how we help the school. 1.3: Gina briefly outlined our aims and events going forth this academic year. 2.1: FOMS raised a fair amount of money to help the school last academic year, and events mainly went well. 2.2: To name a few of the events we organised: discos, summer and Christmas fair, garage sale, easter egg tombola, Christmas card sales. 2.3: FOMS again funded for many things within school. To name a few: bookbags for the new reception class, we helped fund towards activities for science week, we paid for the leavers trip and half towards the leavers book, we brought three new picnic benches. 2.4: Previous meetings were always held at school but due to unforeseen circumstances we cannot use the school at the moment so we will continue to use the coach and horses for the next meeting but understand in December and perhaps November it maybe busy due to Christmas parties. 3.1: Pete stated that we currently have £4,664.20 in our main account and £671.33 in our savings account, therefore overall we have £5335.53. 3.2: From the summer fair we made about £700 profit. 3.3: Last year we got £1,300 from Melton fete, however this year we haven’t got anything, due to things changing. 3.4: Pete explained that FOMS usually make approximately £2,000-£2,500 a year, on top off everything we pay for. We support the children in the school by about £1,500 a year. 4.2: FOMS will continue to raise funds for the development of the outside areas within school: equipment etc. 5.0: It was decided that we will not be having a Christmas fair this year. We will still do the Christmas cards (Laura will organise with teaching staff etc) and Christmas day in school (20th December). 5.1: We also decided that we would do the Christmas dinner raffle, where we will send home tickets for each child to sell. What could we do for tickets for the Christmas dinner raffle? Need to look into this further. Anna suggested perhaps to hold a competition for the child who sells the most tickets. We will send five tickets home per child. The family can also come back for more tickets if they want to sell more than five tickets. A prize will be decided upon. 5.2: The school disco will go ahead, but we are awaiting a date from the school. We will get this booked ASAP. 5.3: Suggestion by Anna: Auction night. Big money making but we must be careful because it’s a school! So what things we could auction? Anna also suggested that this event could go alongside something like a ball or a sit down meal? Something to investigate. 5.4: This term events: Christmas cards, disco, Christmas day in school, Christmas dinner raffle. 5.5: Spring term ideas: Garage sale/car boot sale/table top sale, race night, disco, easter egg tombola. 5.6: Summer term ideas: Silver coin trail, disco, quiz night, car boot sale/garage sale/table top sale. 5.7: It was suggested that we could place the ideas on our facebook page to see what people’s views are, we could do a pole on ideas. Pete will organise this. 5.8: Nat asked about cake sales. Have had negative feedback from last academic year so not sure what we are going to do about these as yet. 6.1: Gina wil ask if FOMS can attend the open morning at school, which is on Thursday 8th November. 6.2: Gina thought it would be nice to provide a newsletter from FOMS, as many parents do not know a lot about us and what we do! So Gina is going to organise this. 7.1: Monday 19th November 2018, at Coach and Horses at 7.30pm. 1.1: Gina welcomed everyone for coming this afternoon and introduced herself to those new to the committee. 2.1: Definitely going ahead with movie night instead of disco this time. 2.2: Gina asked the committee which evening is best to do this, and shall we do straight after pick up to avoid people having to go home and then come back? A suggestion was that children are usually quite hungry when they come out of school. 2.3: The committee decided that the film would have an easter theme. Gina will look for film ideas, and look into the license. 2.4: A suggestion was that we could sell bunny ears and have a small raffle. Jenne also suggested eggs which she would be happy to decorate, and easter egg nests. We later decided that we would not do any of this. 2.5: As this is instead of the disco, we decided that we would sell the tickets for £2 (the same price as the disco) and still have unlimited squash available, popcorn and perhaps a hot cross bun instead of sweets, as it is an easter theme. Julie is going to ask tesco if they would be happy to donate some hot cross buns. 2.6: Date for this event: Thursday 4th April, open doors at 5pm for film to begin at 5.15pm. 3.1: Decided we would leave this idea for the time being as Mrs Thornton is currently organising one (26th April) to be held at school, for a charity. 4.1: This will be like previous years, where the children do this during school time. This event has been booked for Friday 5th April, the last day of term. 5.1: Gina is going to write a letter asking for donations of easter eggs. Jenne is also going to ask for donations of chocolate from her work place. 5.2: Will need helpers on the day as we are having separate stations. Chloe, Amy, Nat, Katie, Gina and Julie all available. 5.3: This event has been booked for straight after school pick up on the last day of term: Friday 5th April. 6.1: We will look further into this at the next meeting. 7.1: All agreed last time this was a good idea and worked last year. 7.2: Gina said that the Parish Rooms would advertise for us and advertising around in local advertisements is quite easy. 7.3: Would get maps from school again like last year. Ask school for access. Would register interest by email or perhaps at the school office? 7.4: Ask Alun if the school field could be used for car boot sale too. 7.5: Date needs to be decided. 8.1: Melton Fete: need to find date for this. Will need volunteers. Do we keep the same things: face painting, teddy tombola and selling things from classes or do we change for different things this year? Will discuss more next meeting. 8.2: Summer Fair: beginning of July usually. Perhaps Friday 5th July? Ask Alun if we can have this date and if we are still doing football tournament as well as fair. 9.1: It was suggested that maybe giving classes a figure from FOMS. Katie is going to ask the staff at the staff meeting for things they would desire and then we will go from there. That way the parents will know, and can see what FOMS are buying. 9.2: Need to get figures of what we have in the bank from Pete. 10.1: Tuesday 2nd April 2019, 3:30pm in the school hall.